Decorate the wall of your home or business with this elegant floral design illustrating three dandelions from our set of dandelion wall stickers! Are you looking for an elegant and classy wall decoration for your home? Tired of having empty walls that only create a dull atmosphere? 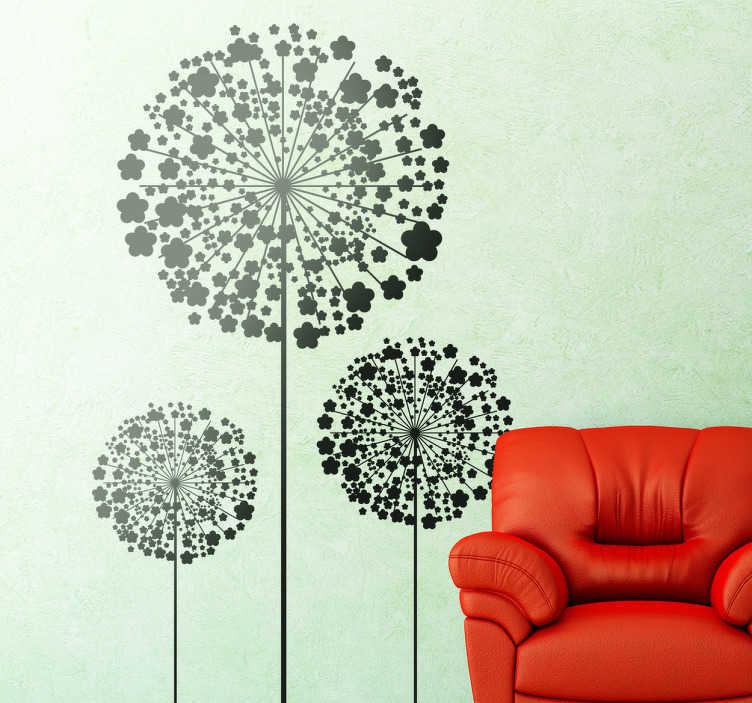 If yes, this plant wall stickers is perfect to give your home what you have been looking for! These three dandelions are super easy to apply and leave no residue upon removal. Choose from a wide variety of colours and sizes.